To use Lamination PRO, you simply need a mouse with a left button. Everything you need is contained in drop-down boxes. 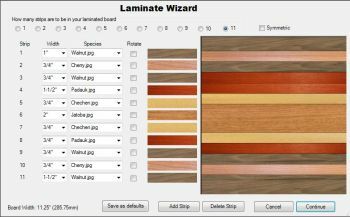 Lamination PRO is for Woodworkers too! Multi-generation laminations make wonderful adornments for traditional woodworking projects such as table tops, headboards and game tables. With Lamination PRO, your design capabilities are endless. Regardless of the complexity of your design, the steps needed to make it are condensed into easy-to-follow instructions. The easiest feature ring you can make for a segmented bowl might also be the simplest. 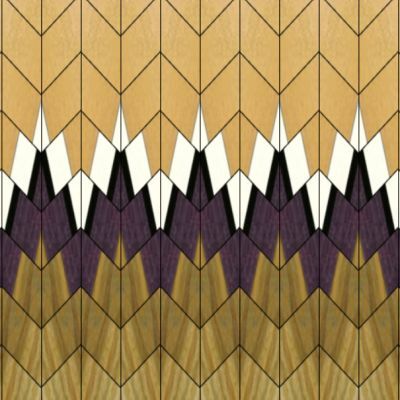 For a Southwest design, you simply make a 1st generation chevron board and cut it into lengthwise strips and glue them back together. Lamination PRO will show you exactly where to make your cuts and the appearance of the finished design. 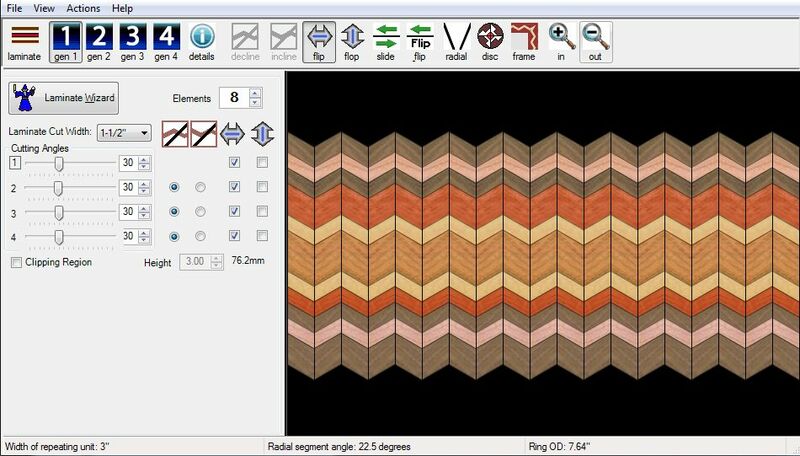 Once you have a design complete, transfer it to Woodturner PRO where you can paint a feature ring with it. For questions about our software, please refer to our Frequently Asked Questions. 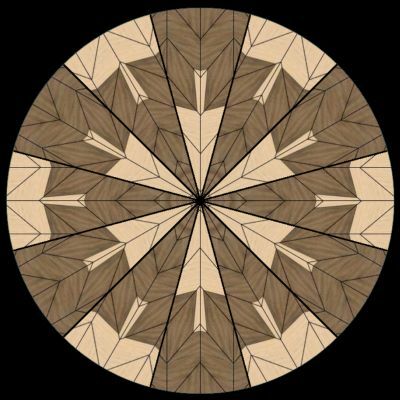 Have you ever looked at a laminated feature ring of a segmented bowl wondering how it was done? Well, wonder no more. The truth is, using laminations to create feature rings is far easier than the results would indicate. The process starts with a board made from strips of wood. 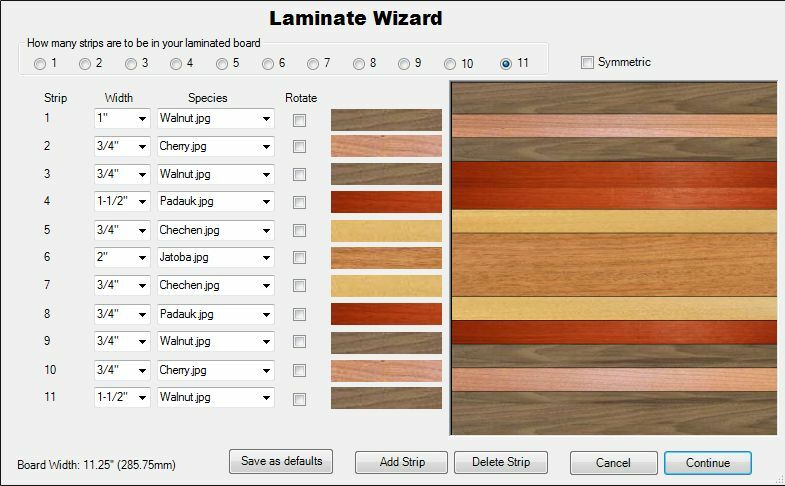 Lamination PRO makes this process simple with its Lamination Wizard.The Wizard allows you to select from 1 to 11 strips of wood in either a symmetric or non-symmetric pattern. You simply select a width and species from drop-down boxes. For each number of strips, you can create your own default configuration. Adding additional species is as simple as copying image files into a folder. Version 3 even has end grain and solid counter top images. Once you have finished creating your laminated board, press Continueand the board will be placed in your main work area for further processing. To make a multi-generation design in the shop, you would take that board and cut it with your saw at a predetermined miter angle into strips, reassembling it by flipping alternate strips left-to-right or top-to-bottom to make a 1st generation board. 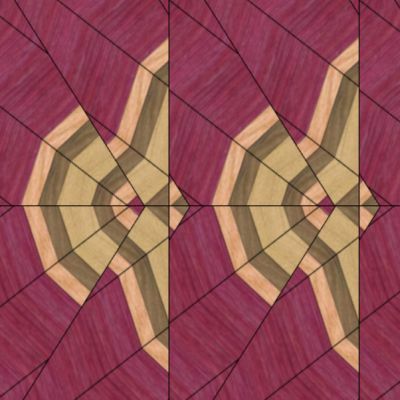 Lamination PRO duplicates this process virtually so that a single keystroke immediately shows you what your 1st generation board (often called a zig-zag or chevron pattern) will look like. 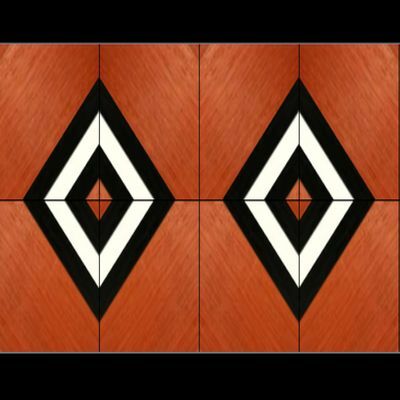 If you take a first generation board andrepeat the same process, you'll get a second generation pattern. 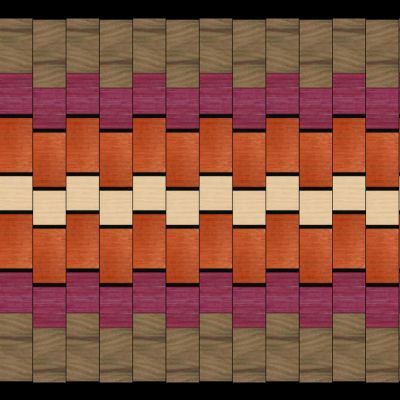 And then a 3rd generation pattern. 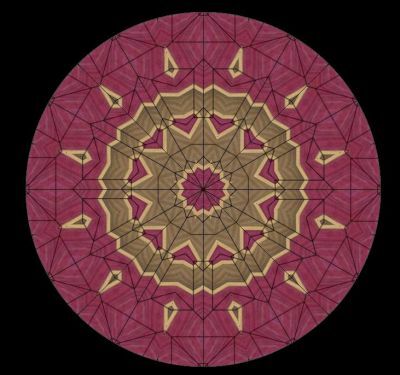 And if that's not enough, you can now have a 4th generation pattern. While understanding the multi-generation process isn't difficult, creating a lamination design that will have the desired dimensions and appearance is far from simple. That's where Lamination PRO's power and flexibility shines.